Best spray tanning deals in Jupiter, FL. Comfortable atmosphere, quick and convenient state of the art spray tan technology. Our facility is specifically designed for you tanning experience and enjoyment. We provide customized tanning programs based on your skin type and desired skin color. There are several tanning solutions available for select levels of darkness. Professional grade all natural ingredients. A Norvell Tan is a good solution for those who have chosen to avoid UV light. 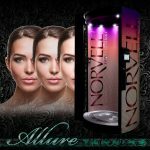 Norvell’s unique spray tan formula also works to reduces fine lines and wrinkles. Combine with a short UV Tanning stand-up session for a “tanning cocktail” allowing accelerated tanning results. The secret to achieve a long lasting flawless tan at the push of a button. Perfect sunless tanning results for any special occasion. Contact us for an appointment to tour our facility and meet our highly experienced staff who can help maximize your tanning goals. Visit today!